What’s the best way to pay for my studies? What’s the best way to pay for my studies: flexible instalments or pay upfront? Depending on your financial circumstances, deciding how to pay for your studies is a big commitment. With the changing landscape of the workforce, gone are the days where people worked the standard 9-5 job, five days a week. Some freelance full-time, others rely on casual or part-time work to get them by. You can fund for your studies either through fixed instalments through Upskilled/Zip or pay upfront with a 15% discount. In this blog, we give you the pros and cons of each payment method to help you decide what works best for you depending on your current financial situation. Should you choose to pay for your course via flexible installments (a very popular decision) then there are a few benefits to consider and a couple of points to be aware of. One of the benefits of paying in instalments is you know how much is being deducted from your account. This is helpful because you can set aside the fixed amount in a separate account so you know that you cannot use the money for anything else. A good tip is to go over your budget again and write out all your fixed expenses, including the payment of your course, and minus these from your earnings, so in that way you know how much money you can put aside for savings and bills. It’s understandable that people have different payment schedules. If you choose to pay through Upskilled, payment plans run for 12 months with an initial upfront enrolment fee and these repayments can be spread either on a monthly or weekly basis. If you choose to pay through Zip, you have the option to pay for your studies either on a weekly, fortnightly or monthly plan. One of the benefits of paying through Zip is that you can spread your payment beyond the 24-month interest-fee period if you prefer a smaller repayment. Knowing when your money is deducted is helpful and you can track how much is being taken out from your account for your studies. Making a decision to study is a big financial commitment and some people may not be able to afford paying upfront for their studies. Choosing Zip or Upskilled’s payment plan can help you fund your studies through manageable, bite-sized payments that you can afford. Are there downsides to paying for my course via installments? No discount will be applied: Be mindful of the fact that you will need to pay for the full amount of the course and there is no discount applied if you choose to pay your course through instalments. This is only available if you pay your course upfront. Be mindful of interest: You will also start paying for interest after 24 months through Zip. If you choose to pay instalments through Zip, you will be charged interest after 24 months. In this instance, you will be paying more money on top of the actual price of the course. It will also take you longer to pay off the debt if you have chosen to make smaller repayments. Keep your credit rating clear: Your credit rating may be affected if you do not pay on time. According to Upskilled’s Terms and Conditions, if a payment is missed or declined, any dishonour fees will be applied to you. If you are repaying your course through Zip, you will be charged a $5 dishonour fee. Missing a payment through Zip can affect your credit rating, since in the initial application process, they have to check your credit rating to see if you are financially capable of being on a payment plan for your studies. What are the things to consider if you choose to pay for your course fees in full, that is, totally upfront? Consider the options below and how these issues will affect your bottom line. One of the benefits of paying a course upfront with Upskilled is that students receive a 15% discount of the total cost of the course. It also means that if they have budgeted for a specific course, they will have some money leftover that they can choose to spend on something else. If you happen to have savings for your studies and don’t want to sign up for another loan, paying upfront means you won’t have student debt attached to your name (except for those with a HELP loan). This can be an effective way to “domino your debts” and pay off your student loan in one-large payment. Paying for your studies is an investment and eventually, you will see how it can help you get your dream job or develop your current career, so the large price to pay can be seen as a “return-of-investment”. There may be additional administrative fees you need to pay for if you sign a payment contract, however, when you pay in full, you won’t have to worry about paying for any additional costs. This means you can budget accordingly to your regular bills and savings, instead of having an additional payment on top of your current spending needs. Paying in full means you’re not tied to another debt, giving you the freedom of keeping your budget the same. There are a few things to have a good think about when it comes to paying for your course in full. Consider the following points very carefully, before you make your choice. Make sure you know your expenditure: It can be a financial strain if you are on a low or fluctuating income. If you’re freelancing full-time, one of the biggest frustrations as a freelancer is being paid on time by your clients. Depending on your expertise and skill set, there will also be quiet periods where you are not working on projects, meaning you may not have a steady stream of income. In addition, if you work part-time or casual roles, you may not get consistent shifts, having a lower wage in some weeks than others. 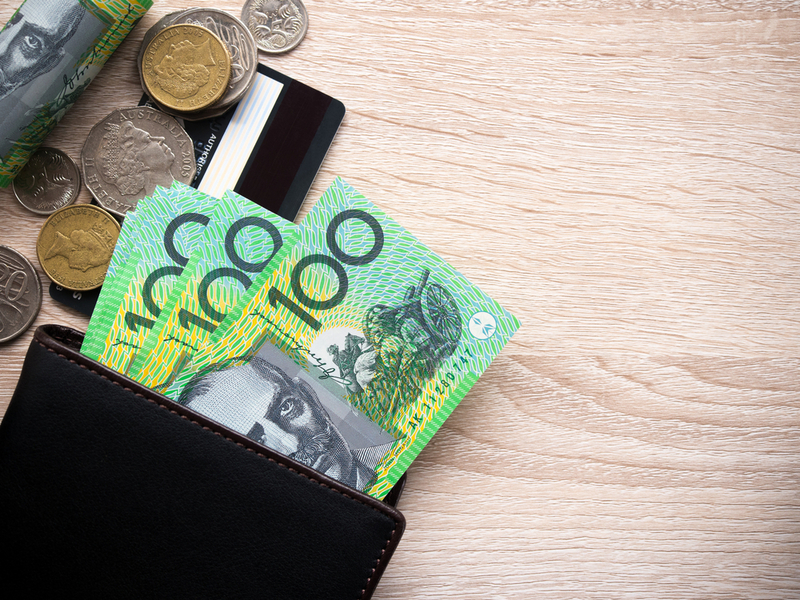 Being on a low or fluctuating income and paying a course in full may not be the best idea if you need to spend your wage on other bills that take priority. Save for a rainy day: You may need the money for an emergency fund. In a news article published last year, it was reported that 1 in 5 Australians have no savings to fall back on in the case of an emergency. If you’re living paycheck to paycheck and don’t have much money to spend for a course, it may be best to find some extra work to have some additional funds to study. Look over your budget again and see if you can afford it and make sure you have some savings in case of an emergency. Make sure the amount is manageable for you to pay: With a mortgage, car loan and other living expenses, you may not manage to pay upfront for your studies simply because you are not able to cover the full cost of the course. If you already have lots of bills to pay for, spending a large amount of money on a course may not be within your means. Also, if you have an unexpected cost you need to cover, such as an emergency mechanical repair for your car, you may need to fund for that first before paying upfront for your studies. Budget tip: Even if you are on a fluctuating or low income and prefer to pay upfront so you can receive a 15% discount, it is still possible to be able to do this if you are determined to save the money and stick to a strict budget. Create a separate account and name it ‘Study fund’ and set aside an affordable amount from each paycheck to it. Once you have reached your goal savings, you can then pay for your studies. Depending on what state you live and your eligibility, you may be able to receive government funding for your course with Upskilled. The funding can help you save thousands on your studies and enable you to pursue your dream course, which can help you out financially if you simply cannot afford to study. However, please keep in mind that government funding is subject to availability and may not be possible at the time of your course enquiry. For further information on government funding, head to the Frequently Asked Questions section on the Upskilled website that deals with Government Funding. In this section of the website, you’ll see a breakdown of what’s in offer in your state or territory, including eligible courses, and what you need to do to meet the criteria and get funding (partial or complete) for your course. Upskilled staff are happy to discuss about ways to pay for your studies, so feel free to call 1300 009 924 and speak with an Education consultant. If you have a performance review coming up in your workplace, it is a perfect time to raise with your manager that you’re looking to broaden your skills and how studying a relevant course can help you. Ask if it is possible if the company can fund for your studies and provide reasons why it may be beneficial such as becoming a more motivated employee and filling in the gaps of knowledge and skills you need to do your job better. Choosing a payment method for your studies can be tricky, but if you evaluate your spendings and earnings and be realistic about what you can afford, you can still study the course of your dreams. Jana Angeles Jana Angeles is the Marketing Coordinator for Upskilled. She is a music enthusiast at heart and a total foodie, When she has free time to spare, she watches re-runs of rom-coms on Netflix and splurges on vinyl at her local record store. What are the recent changes to the 457 Visa?